Lying in the fertile Vale of Mowbray between the Hambleton Hills and the uplands of the Dales, Thirsk has long been the focus of trade for a score of villages. The name may have originally denoted ‘settlement by a river’ and certainly the oldest dwellings cluster on either side of the Cod Beck. 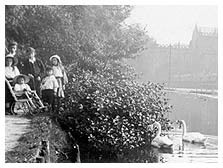 On the east bank St James Green bears the name of a long-vanished chapel and was the traditional site for horse and cattle dealing. Across the bridge the road leads into the Market Place proper where the Cross and the Market Hall once stood. On Castle Garth excavations in 1994 uncovered early Saxon graves on the site where the Normans built a castle in the years after the Conquest. The lands around were held by Robert de Mowbray who gave his name to this district. The Mowbrays castle was later destroyed, but by the fifteenth century the citizens were prosperous enough to undertake the rebuilding of their parish church. The church apart, most of the architecture seen today dates from the eighteenth and nineteenth centuries when the improvements made by the great landowners brought prosperity to the farming community. 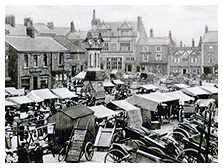 Set amid good grazing land, Thirsk was a centre for sheep, cattle and horses, where the Monday market and annual fairs saw lively dealing in beasts and produce. Skins and hides provided raw materials for tanners and leather workers working in shops and sheds crammed into yards behind the houses. There were corn mills and breweries. There was trade in wool and linen; the wool industry eventually departed to the West Riding, but flax dressing and linen weaving continued into the middle 1800’s. There was work for other trades as well; there were blacksmiths and farriers, there was an iron foundry in Norby, there were wheelwrights, carpenters and joiners, tailors, haberdashers and the oldest drapers in the kingdom. Shopkeepers supplied the needs of town and country folk alike, while a score of taverns slaked their thirst. The courts met regularly in Thirsk with the gentry sitting as justices. The well-to-do built prestigious town houses or moved to the more salubrious surroundings of neighbouring Sowerby. Medical men joined with the clergy, the wealthier farmers and successful merchants to form a social elite. With the building of turnpike roads in the later eighteenth century Thirsk became a post stage on the route from York to Edinburgh; three of the Inns were noted as coaching establishments. Other houses offered stabling for the horses that were the chief means of local transport until well into the twentieth century. The coming of the railway in the 1840’s and, later, the growth of motor transport combined with the effects of two world wars, brought radical changes to a way of life that had persisted for some two hundred years. Crafts have died out and family businesses have closed; the old way of life has largely disappeared, but new industries have developed and fresh skills have emerged to keep Thirsk a thriving community. c550 Anglo-Saxon community thriving in Thirsk. 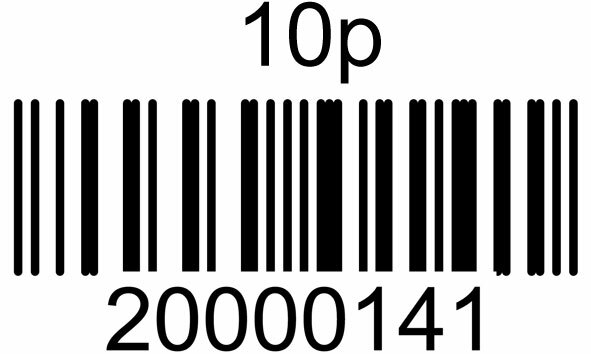 1086 Domesday Book lists two manors in Tresche with total value of 30 shillings. 1145 Market privileges confirmed, held weekly on Mondays to present day. 1174 Thirsk Castle destroyed by order of King Henry II. 1430 Rebuilding of St Mary's Parish Church begun - completed fifty years later. 1489 The people of the North refuse to pay new taxes. Earl of Northumberland slain. 1513 The room above the church porchis the home of a hermit. 1580 Draper Bartholomew Smith runs a stall in the Market Place and founds a business that continues in Thirsk for 400 years. 1723 Bell family become Lords of the Manor of Thirsk and build Thirsk Hall. 1755 Birth in Thirsk of Thomas Lord, founder of Lord's Cricket Ground. 1771 Disastrous floods in the town - also in 1826. 1879. 1930 and 2000. 1786 Thirsk is a posting stage for coaches calling at the Three Tuns and the Fleece. 1797 Admiral Nelson wounded in landing at Santa Cruz - his right arm is amputated by surgeon of HMS Theseus, Thirsk-born Thomas Eshelby. 1834 Gas Works built in Long Street - town lit by gas until 1906. 1838 Thirsk Union Workhouse built on Sutton Road. 1890 Lambert Memorial Hospital opened, named after a noted Thirsk physician. 1896 Market Clock built to mark 1893 wedding of the Duke of York and Princess May of Teck - later to become King George V and Queen Mary. 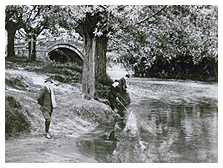 1907 Performances of the Thirsk Historical Play celebrate a thousand years of the town's history. 2000 Millenium celebrations. Another century remains to be added to the story! Historical notes by courtesy of Thirsk museum. It takes in 12 sites of historical and environmental interest. The route is circular, flat and approximately 3 miles long, but may be shortened (alternative routes are indicated on the leaflet). A leaflet with a map and walkers’ guide to find the explanatory boards around the town is available in the Tourist Information Centre and for DOWNLOAD HERE.